Before we get started, let’s first look at some of the key features we’d expect to see in a good course management plugin. The key feature of every course management plugin is the addition of courses. Moreover, lessons are added under these courses, which may also be called modules. Almost every course management plugin provides this feature. It’s an advantage if course lists are able to be exported in XLS/CSV format. This makes things easier as the complete list gets generated on a button click. teachPress provides this feature for its users. 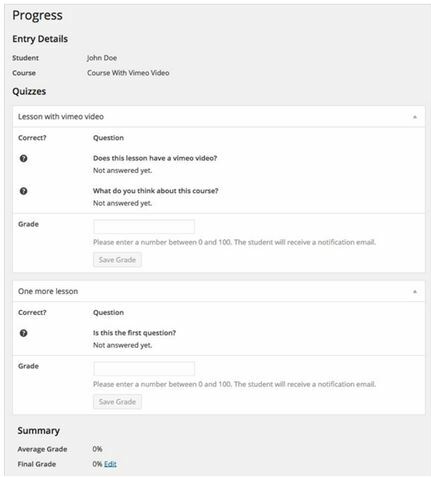 Drag and drop interface for adding functions while creating lessons and quiz. Sensei course management provides automatic quiz grading or manual grading if there is a need for teacher review. However, there are different forms of questions in a quiz. Figure 2: The assessment report of a student provided by Educator Plugin (Image Source). These plugins also provide a list of plugin extensions which makes them more interesting and innovative. Some extensions are for developers. Extensions are available for automatically creating certificates for participants. Sensei comes with an extension for automatically and manually generating certificates for students. CoursePress also provides a certificate of completion as shown below. Figure 3: Certification of completion by CoursePress (Image Source). Students can pay using multiple payment options and through different payment gateways. Multiple payment methods are provided by the Educator plugin including PayPal, check, cash and bank transfer. 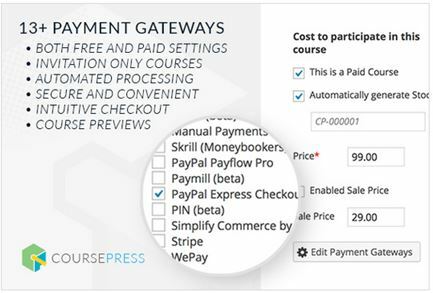 CoursePress Pro supports more than 13 payment gateways. Figure 4: CoursePress Pro supports 13+ Payment Gateways (Image Source). The plugins are available in different languages for making localization easier. Also different people from distinct regions can work on them with ease. teachPress is available in 6 languages for example. The students can easily rate the courses and lessons by ranking them and providing feedback messages. A course and publications management plugin optimized to fulfil the needs of professors and researchers. It unites a course management system and BibTeX compatible publication management. Publications can be imported in BibTeX format. 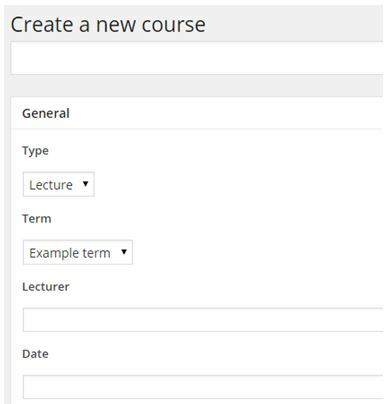 A learning management tool with unlimited courses, a modules addition with dynamic progress page, question tagging and other features. Provides unlimited courses, modules and lessons. Some of its clients include CNN, Miami University, Indianapolis, etc. Grades can be easily tracked and grade books (report cards) can be exported. Tool available for creating surveys. StudyPress is an E-learning authoring tool to create multimedia learning content. These are then published on WordPress posts and pages. Students can give their feedback by rating lessons and quizzes. Full-screen mode option for accessing lessons and attempting quizzes. Automatic reporting of a quiz to teachers. Provides multi-teachers support by integrating WordPress author user role. The creation of lessons and quizzes is easier in StudyPress as different functions can be added through drag-drop interface. Figure 8: Course video in StudyPress (Image Source). 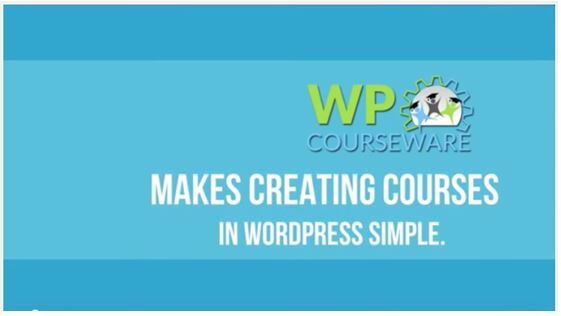 CoursePress is a course management plugin which turns WordPress into a powerful online learning platform by easily creating, managing and selling online courses. If you only want to provide a few courses, freely available CoursePress could work, but for accessing every feature; go for CoursePress Pro. Before registering, students can see the complete course description with a promotional video. This helps them to know what they’re paying for. Tools for course promotion and marketing. Course teaser for video preview, course description with other elements. This appeals to new students. More than 13 payment gateway options available for selling courses. Educator is a course management plugin for creating courses, adding lessons, creating quizzes, etc. The course can be sold independently or through multiple memberships. 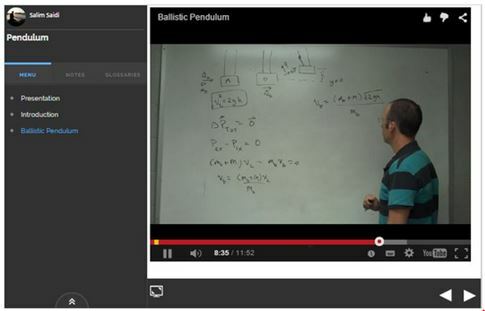 Lecturers can easily edit their courses and lessons. It supports multiple payment methods like PayPal, check, cash and bank transfer. The slugs for courses, lessons, course archives, lessons archives and course category can be edited. 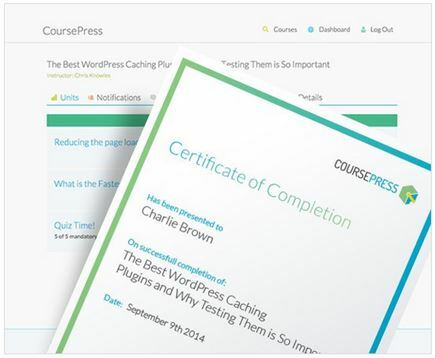 In this article, I’ve covered six of the most popular course management E-learning plugins for WordPress. I definitely recommend Sensei and CoursePress Pro. However, others also have some unique features as shown below in summary. Extensions are available for extending the capabilities of the plugin like adding certificates. Can work with any WordPress installation. It creates a bank of questions and displays a random selection for learners when they’re attempting a quiz. The quiz results can be downloaded. Grade book can be easily tracked and exported. Excellent demo modules are provided for creating courses and configuring them with an easy to use interface. Students can see the complete course description with a promotional video before registration. This helps them to know what they’re paying for. Lecturers can easily edit their course and lessons. The slugs for course, lessons, course archives, lesson archives and course category can be edited. What about you? What E-learning plugins have you used to convert your website into a powerful E-learning management system?